With top companies in Silicon Valley and elsewhere engaged in heated competition to fill the increasing number of open job positions requiring technical skills, initiatives to expand the country’s pipeline of science, engineering, and technology talent is becoming a renewed priority for corporate philanthropy. Corporate tax departments have an important role to play in guiding these efforts, particularly to the extent they involve a company-sponsored charitable foundation. While a company foundation’s expenditures are typically driven by the company’s marketing, public affairs, or corporate social responsibility departments, corporate tax managers who are responsible for the foundation’s annual Form 990-PF tax return also have a vital interest in its effective and tax-compliant operation. Efforts to use company foundations to address the nation’s tech talent shortage pose opportunities for the tax department to help maximize these philanthropic investments while also aligning them more closely with the company’s own business imperatives in attracting and retaining a diverse and high quality tech workforce. The private foundation self-dealing restriction is usually the main tax compliance challenge for companies seeking to employ foundations in innovative ways that meld both philanthropic and business objectives. IRC section 4941 imposes punitive excise taxes that effectively prohibit most transactions between a private foundation and its “disqualified persons,” a term that encompasses the foundation’s directors, officers, and substantial contributors. The broad scope of this self-dealing prohibition, along with its narrow and mechanically applied exceptions, potentially complicates a foundation’s involvement in any transaction where its sponsoring company stands to derive an economic benefit—either directly or indirectly. To avoid self-dealing problems, any benefit that a company receives as a result of its foundation’s activities will usually need to fall within the exception carved out by the regulations for benefits that are “incidental and tenuous” in nature.1 The prototypical example of such a benefit is the public recognition and goodwill that a foundation’s sponsoring company can receive as a result of a charitable grant that it makes in the community where the company does business. The parameters of this incidental and tenuous exception—though not always clearly defined—can be the key to creatively leveraging company foundations to tackle dual social and business challenges, such as the technical skills gap facing American companies. To avoid self-dealing problems, any benefit that a company receives as a result of its foundation’s activities will usually need to fall within the exception carved out by the regulations for benefits that are “incidental and tenuous” in nature. One of the more direct ways that companies can use foundation resources to cultivate the technical skills of current and potential future employees is through foundation-funded scholarship programs. Indeed, scholarship programs for employees and their children are among the most common traditional uses of company foundations, and they are explicitly recognized as conferring only incidental and tenuous benefits on their sponsoring company, provided that the scholarships comply with other applicable private foundation expenditure rules.2 Targeting these programs so that the scholarships help address a company’s tech staffing needs, however, requires careful navigation of the relevant tax constraints. Several overlapping sets of tax rules in addition to the private foundation self-dealing prohibition need to be considered in designing a compliant foundation-funded scholarship program, the full details of which are beyond the scope of this article. Under the rules governing “taxable expenditures” by private foundations, any scholarship or similar grants made by foundations to individuals must be awarded on an objective and nondiscriminatory basis under a set of written procedures that is approved in advance by the Internal Revenue Service (IRS).3 Such scholarships must also qualify for tax-free treatment under Code section 117(a), which includes mandates that scholarships be awarded only to students who are degree candidates, and that they cannot be disguised payments in consideration for the scholarship recipient’s services. Helpfully, Revenue Procedure 76-47 sets forth the conditions that a company foundation’s employee scholarship program must satisfy to comply with both the taxable expenditure and self-dealing rules, as well as the requirements for qualified scholarship treatment under section 117(a). Among these conditions are requirements that scholarship recipients be chosen by an independent selection committee with no employment ties to the company, that the selection process be competitive as determined by certain numerical tests, that scholarship awards not be conditioned upon an employee’s continued employment with the company, and that the scholarship program not be used as an overt employee recruiting or retention program. Yet other conditions stipulated in Revenue Procedure 76–47 would ostensibly bar a company from focusing its foundation-funded scholarship program on specific technical fields of study or on certain employee groups—however broadly defined—where the need for high-tech education might be highest. The revenue procedure’s conditions for a foundation scholarship program’s eligibility and selection criteria, for instance, specify that scholarship eligibility must not be related to factors “such as an employee’s position, services, or duties,” and that the standards for awarding scholarships must be “completely unrelated … to the employer’s line of business.” Likewise the “course of study” condition prohibits a foundation from limiting scholarships to courses of study “that would be of particular benefit to the employer.” Although not explicitly stated in the revenue procedure, these provisions could be interpreted to imply that the IRS would consider deviations from these conditions to constitute more than an incidental and tenuous benefit for a foundation’s sponsoring company. There is no guarantee that the IRS would approve any particular scholarship program design, as these determinations can be based heavily on each company’s facts and circumstances; for instance, whether the number of employees in a proposed eligibility group is numerous enough to constitute a broad charitable class. As the above examples illustrate, however, the determination letter application process can be a useful opportunity to propose and obtain IRS blessing for strategically designed scholarship programs that reflect a company’s philanthropic and business priorities in the science and technology education arena. Implementing these supplemental educational collaborations requires careful coordination within the company to ensure they are not used to gain impermissible recruiting advantages. Another prime opportunity for companies seeking to use foundation resources to raise their recruiting profiles among potential future tech employees is through the sponsorship of educational programs at colleges, universities, and other institutions. Eager to bolster their tech talent pipelines over ever longer horizons while addressing the country’s math and science educational achievement gap, more companies have been expanding their philanthropic efforts to support organizations that work to inspire greater interest in science, engineering, and computer programming among students as early as middle and high school. It is when these types of initiatives target college and graduate-school students on campuses where company recruiting dollars are typically spent that potential private foundation self-dealing issues can arise. The IRS provided a useful framework for avoiding self-dealing problems in this context with Revenue Ruling 80-310. The ruling describes a foundation that made a grant to a university to fund a new academic program in manufacturing engineering. The company that sponsors the foundation operates a manufacturing plant in the same city as the university, and it will seek to recruit graduates from the program, as well as encourage its existing employees to enroll. The company will not receive any preferential treatment in the hiring of program graduates, however, and company employees will compete for admission to the program on the same basis as the general public. The IRS reasoned that, because of the lack of special recruiting or admissions preferences and the fact that the new program is of broad public interest to the community, any benefits that the company receives from the foundation’s sponsorship would be incidental and tenuous. Perhaps the most meaningful practical insight to be gleaned from Revenue Ruling 80-310 and subsequent IRS guidance is that a company and its employees can be highly engaged with the students of a foundation-sponsored academic program if the principal function of those interactions is to serve the educational purposes of the program rather than the company’s recruiting needs. For example, having employees participate in the program as volunteer student mentors or guest lecturers could enhance and reinforce the reputational benefits that the company gains through the foundation’s sponsorship investment, while avoiding many of the additional self-dealing concerns that would arise if the company were to host the students as interns. Similar permissible benefits could be gained by providing students with company-branded learning materials and other resources, so long as these materials do not contain any recruiting content. Implementing these supplemental educational collaborations requires careful coordination within the company to ensure they are not used to gain impermissible recruiting advantages. For example, any company employee program volunteers should be given documented instructions not to engage in any company recruiting activities while acting in their foundation/educational institution capacities. Where practicable, it can also be helpful to spell out the nature of any anticipated nonmonetary educational collaborations that will occur in connection with a company foundation’s sponsorship of an academic program, while clearly indicating that no preferential recruiting benefits will be offered in connection with them. Looking to the future, it seems likely that the ongoing high-tech workforce development challenges posed by today’s business environment will only increase the need for creative philanthropic strategies involving company foundations. One could foresee a day in the not-too-distant future that “hackathon” events hosted by universities and other educational institutions, at which students compete to show off their coding talents, become just as important of a recruiting tool for companies as traditional job fairs—raising new questions about the self-dealing implications of corporate foundation sponsorships of educational programs. The one commonality of these potential future challenges with the traditional modes of support that foundations have been utilizing to promote tech education is the pivotal role that the corporate tax department can play in devising the most effective philanthropic strategies for the company. Take full advantage of expense allocations. Most types of foundation expenses listed in Part I—employee compensation, professional fees, administrative expenses—can be reasonably allocated between either or both investment income expenses and disbursements for charitable purposes. Report company compensation and shared expenses properly. Payment of reasonable compensation to the company for personal services provided to the foundation is generally permitted, but such compensation should be fully reported in Line 1a (4) of Part VII-B and in Part VIII. Payments for the foundation’s portion of shared expenses such as supplies and outside vendor fees should be billed separately to the foundation by the third-party vendors and reported as separate expenses to avoid self-dealing violations. Report filing with state attorneys general. As a sign of good governance and legal compliance, the IRS expects foundations to answer in the affirmative to Line 8 confirming that a copy of Form 990-PF has been furnished to the attorney general, even if the foundation is domiciled in a state that does not require such a filing in connection with state charitable solicitation laws. Make required estimated tax payments. To avoid penalties and interest, annual investment income excise tax amounts over $500 must be paid in advance, either through estimated tax payments or through advance payment with the previous year’s Form 990-PF. Track and manage excess carryover distributions. Company foundations tend to accumulate large excess qualifying distribution carryovers over time, particularly in years in which the company’s taxable income is insufficient to absorb significant charitable contribution deductions. It is important to keep accurate track of these carryovers from year to year in Part XIII, as they can facilitate charitable distribution timing strategies and out-of-corpus distributions in support of enhanced charitable deductions for the company under section 170(b)(1)(F). Verify status of charitable grantees. A foundation should maintain up-to-date IRS business master file data (also available through third-party websites) confirming the charity status of all grantees listed in Part XV, as grants to nonpublic charities and certain supporting organizations may require special Form 990-PF reporting treatment. Accurately report contributions on Schedule B. Contributions of more than $5,000 from the company, its affiliates, or any other donor must be reported on Schedule B. It is also imperative that the required section 170(f)(8) substantiation letter be provided by the foundation to all donor entities so that charitable contribution deductions can be claimed on the corporate tax return. Contributions of property should be listed at fair market value on Schedule B, but it is important to track the carryover basis for these donations to ensure accurate capital gain calculations for investment income excise tax purposes. 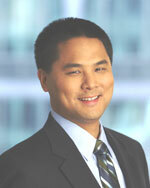 Victor Chang is a partner in the employee benefits and estate planning groups at Ivins, Phillips & Barker, a tax boutique law firm with offices in Washington, D.C. and Los Angeles. E.g., PLR 201322048 (May 31, 2013) (degree programs in “business, engineering, math or science); PLR 201004042 (Jan. 1, 2010) (undergraduate science and technology fields of study). PLR 8111094 (Dec. 24, 1980). PLR 201543020 (Oct. 23, 2015) (specific list of company divisions); PLR 8337082 (June 16, 1983) (employees of company’s warehouse subsidiaries). PLR 9603010 (Jan. 1, 1995). PLR 8335008 (May 18, 1983). E.g., PLR 8237072 (June 17, 1982). PLR 8418124 (Feb. 2, 1984); PLR 8220077 (Feb. 19, 1982).